Princess Juliet decided to rest today in the park. She had already packed up for the rest and the food when it is hungry. All was well until Giulietta not tried to play with bees. They bite her and Princess Juliette had to urgently go to the hospital. Now the girl needs help physician. Help her and the doctor to quickly heal all wounds and become healthy. How to play: In this game you can help the little princess to relax in nature and go to the doctor. Use the mouse and tips in the game to help the doctor cure Juliet. Played: 15489. Added: 9-11-2015, 17:26. 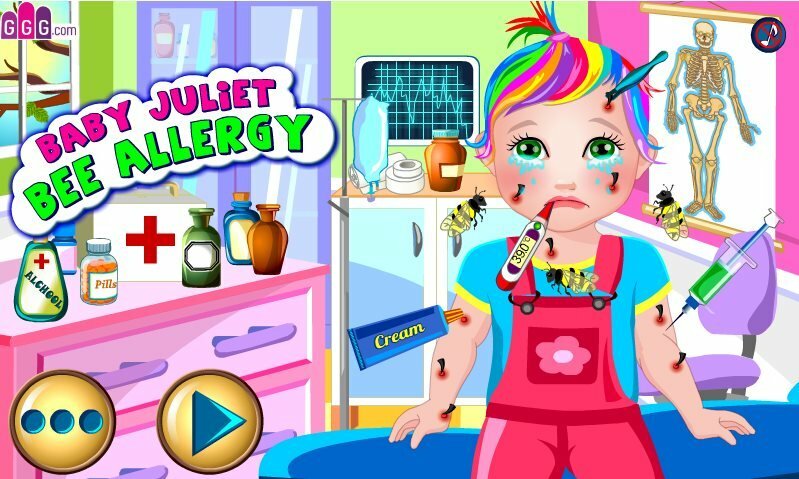 Baby Juliet Bee Allerty game. Princess Juliet in the park.